Fullname: Steven Jeffrey Souza Jr. Draft: 2007, Washington Nationals, 3rd rd. Married to Mikaela…has a son, Micah....Big basketball fan…grew up a fan of the Seattle SuperSonics, but now supports the Portland Trail Blazers after the Sonics moved...Added "Jr." to his jersey in 2012 as a tribute to his dad, who fostered his love for baseball since he was a kid. Hit .220 with 15 doubles, 3 triples, 5 home runs and 29 RBI in just 72 games in his first season with the D-backs...On the 10-day disabled list from March 26-May 3 and May 22-July 5 with a strained right pectoral…suffered the original injury on a dive on March 2... Averaged a career-best 4.13 pitches per plate appearance [min. 250 PA]...Participated in the PLAY (Promoting a Lifetime of Activity for Youth) Campaign event @ Chase Field on Sept. 19. Honored with the Don Zimmer Award (given to the Rays Most Valuable Player) by the Tampa Bay Chapter of the BBWAA...established career highs in games (148), runs (78), hits (125), doubles (21), triples (2), home runs (30), RBI (78), walks (84) and steals (16)...Was the eighth player in Rays history with a 30-HR season, joining Evan Longoria (4), Carlos Peña (3), José Canseco, Aubrey Huff, Fred McGriff, Brad Miller and Logan Morrison...Tied for fifth in the AL with 84 walks...he and Morrison were the only AL teammates with at least 30 HR and 80 BB, and 1 of 2 pairs in the Majors, along with Paul Goldschmidt and Jake Lamb...Was 1 of 5 players in the Majors with his combination of home runs and stolen bases: Goldschmidt (36 HR/18 SB), Brian Dozier (34 HR/16 SB), Mike Trout (33 HR/22 SB) and Wil Myers (30 HR/20 SB)...His 6 games with a homer and a stolen base were the most in the Majors. In his second full season, surpassed his rookie totals in games (120), hits (106), doubles (17), home runs (17), RBI (49), avg. (.247) and slugging pct. (.409)…made 115 starts (108-RF, 5-DH, 2-CF). ÊÊ Missed more than 30 games due to hip injuries…was on the DL for 17 games (June 15-July 1) due to a left hip strain…played his final game on Sep 18 at BAL, and on Sep 21 underwent surgery to debride a labral tear and impingement of his left hip, performed in Nashville by Dr. Thomas Byrd…expects to be recovered for Opening Day...Enjoyed his best stretch at the end of his season before undergoing surgery…finished the season on a season-long 6-game hitting streak…on the 11-game road trip from Sep 8-18, he played in every game, batting .385/.478/.718 (15-for-39) with 11 runs, 1 2B, 4 HR, 6 RBI, 6 BB and 1 SB…raised his season line from .233/.284/.379 to .247/.303/.409…prior to that stretch, was mired in an 11-for-71 (.155) slump over his previous 22 games (Aug 10-Sep 7)...Had 3 multi-HR games…on April 6 at TOR, went 4-for-4 with 1 2B and 2 HR, and his 11 total bases fell one shy of the club record…his other two came at Yankee Stadium (April 24 and Sep 8), making him one of four visiting players to have 2 multi-homer games in a season at new Yankee Stadium…also TOR Russell Martin (2016), Evan Longoria (2013) and BAL Mark Reynolds (2012)...The April 24 game was also his 27th birthday, becoming the first in Rays history to hit 2 HR on his birthday and first in the majors since MIN Trevor Plouffe in 2012…joined MIN Justin Morneau in 2009 as the only players to do it at new Yankee Stadium...Five of his 17 HR came at Yankee Stadium, most of any visiting player in 2016…this also tied Evan Longoria in 2013 for most by a Ray at Yankee Stadium (new or original) in a season...His 17 HR (11 solo, three 2-run and three 3-run) accounted for 26 of his 49 RBI (53.1 pct. )...Struck out 159 times in 468 PA, or once every 2.94 PA…that would have been most frequent in the majors if he had enough plate appearances to qualify, ahead of BAL Chris Davis (3.04 PA/SO)…it also would have been the most frequent in Rays history, ahead of Carlos Peña in 2012 (3.30)...Became only the third player in Rays history to make back-to-back Opening Day starts in RF, joining Ben Grieve (2001-03) and Dave Martinez (1998-2000)...Started one game at leadoff, May 20 at DET… homered on the second pitch of the game off Aníbal Sánchez and reached base 4 times, tying his season high…it was his third career start at leadoff...On June 4 at MIN, became the first Rays player with a homer, stolen base and outfield assist in a game since Ben Zobrist on Sep 10, 2010 at TOR...On Aug 3 vs. KC, went 3-for-5 and hit his first home run since June 4 at MIN, ending his career-long homerless drought at 109 AB and 30 games…it was his first home run at Tropicana Field since May 4 vs. LAD...On Aug 19 vs. TEX, led off the 8th inning with a home run off LH Cole Hamels…StatCast measured the homer at 459 feet, the longest at Tropicana Field since NYY Alex Rodriguez on April 17, 2015 (471 feet, off Nathan Karns)...Batted .290 (31-for-107) with RISP, and .232 (75-for-323) otherwise. Finished tied for 3rd among AL rookies with 16 HR, despite missing 45 games with two stints on the disabled list...tied OAK Mark Canha, trailing only HOU Carlos Correa (22) and MIN Miguel Sano (18)...only two Rays rookies have hit more: Evan Longoria (27 in 2008) and Jonny Gomes (18 in 2005)…His 10 road home runs tied Correa for the AL rookie lead…Made 102 starts (101-RF, 1-DH), and finished 2nd among major league rookies with 8 outfield assists, most by a Rays rookie since Delmon Young in 2007 (16)…Tied CLE Francisco Lindor for 4th among AL rookies with 12 steals...only two other major league rookies matched his totals for home runs and steals: CHC Kris Bryant and Correa…Struck out 144 times in 426 PA (once every 2.96 PA), more frequently than any other major leaguer with at least 400 PA…Missed 11 games with a right finger laceration after he was hit by a pitch from NYY Bryan Mitchell on July 5...returned for 9 games, then was hit again on Aug 1 by BOS Joe Kelly and suffered a left hand fracture, sidelining him for another 34 games…At the time of his first injury, was leading AL rookies in HR, XBH, RBI and BB and was leading the Rays in home runs and steals...on July 4 at NYY, the day before he was hit by Mitchell, Souza Jr. hit his 15th home run and became just the fourth rookie all-time to record 15 HR and 10 SB before the All-Star break...joined SF Dave Kingman in 1972, CAL Devon White in 1987 and WAS Danny Espinosa in 2011...he also became the first rookie to lead his team in homers and steals at the All-Star break since CIN Gary Redus in 1983…The home run on July 4 was a game-tying 2-run homer off Dellin Betances in the 9th, the first HR allowed by Betances since Aug 13, 2014 at BAL...became the first visiting rookie to hit a game-tying or go-ahead homer in the 9th inning or later in new Yankee Stadium...he finished the season with 3 HR and 18 hits vs. the Yankees-the first rookie to reach those totals vs. New York since KC Rick Monday in 1967…Batted .345 as a visitor in the four AL East ballparks and was the only rookie to homer in all five AL East parks…On April 14 at TOR, hit a 463-foot homer off Daniel Norris that just missed hitting a table in the stadium restaurant on the park's third deck...according to ESPN's Home Run Tracker, it matched the 3rd-longest homer of the sea-son at Rogers Centre and was longer than any home run Jose Bautista hit there in 2015...add-ed a bunt single and a stolen base that same game...in Rays history, only three other times has a player had a home run, bunt single and stolen base in the same game: Alex Sanchez (May 5, 2005 vs. NYY), Jason Bartlett (May 13, 2009 at BAL) and Elliot Johnson (May 13, 2012 vs. BAL)…Finished April with 4 HR, 11 RBI and 4 SB, numbers matched by only five other rookies in major league history: OAK Yoenis Cespedes (2012), BOS Nomar Garciaparra (1997), CAL Devon White (1987), OAK Mitchell Page (1977) and SF Dave Kingman (1972)…From May 29-31 at BAL, became the first player ever to hit a home run in each of his first 3 games at Camden Yards, as the Rays took 2 of 3 games...he was 5-for-12 with 2 2B, 3 HR and 5 RBI…Tied the franchise record with 5 BB on June 15 vs. WAS (also Matt Joyce, April 25, 2014 at CWS)...was the first rookie with 5 BB since NYM Mike Baxter (Aug 4, 2012 at SD) and first AL rookie since CLE Jim Norris (July 8, 1977 vs. TOR)...also became the first player with 5 BB and no runs scored in a 9-inning game since SF Barry Bonds (Sep 25, 2004 vs. LAD)… Received a loud ovation June 17 at WAS, his first game at Nationals Park since Sep 28, 2014-when he made a diving catch to preserve Jordan Zimmermann's no-hitter, robbing MIA Christian Yelich...had a solo homer off Zimmermann in the 5th and turned a bunt single in the 8th into a "little league home run" thanks to E-1 and E-9...Rays PR research found the only other time a Rays player hit a "major league and little league" home run in the same game was Miguel Cairo on May 26, 1998 at OAK…Reached base 4 times on Sep 17 vs. BAL (3-BB, 1-HBP), the fourth time in club history a Rays player reached at least 4 times without an official at-bat….On Sep 23 at BOS, he became the first Rays rookie to get 4 hits in a game at Fenway Park...added a home run in the Rays 6-2 win, becoming the first visiting rookie to get 4 hits and a home run at Fenway since TOR Randy Ruiz in 2009...became the first visiting rookie to get 12 hits in a season at Fenway since NYY Robinson Cano (13) in 2005…Had four 4-strikeout games, tied with Melvin Upton Jr. (2012) for most within a single season in franchise history...only two major leaguers had as many in 2015: WAS Ian Desmond (6) and BAL Chris Davis (5)…Entered 2015 ranked as the Rays No. 1 prospect by Baseball America. Acquired by the Rays from San Diego on Dec 19 in a three-team, 11-player trade, largest in club history…enters 2015 ranked as the Rays No. 1 prospect by Baseball America...Named the International League's Most Valuable Player and Rookie of the Year after leading the league in batting avg. (.350), OBP (.432), SLG (.590) and OPS (1.022)...In Baseball America's Best Tools survey was rated the Best Power Prospect, Best Base Runner and Best Outfield Arm in the IL. Selected to Baseball America's Minor League All-Star Team...Despite playing in only 96 games with Syracuse, was tied for 6th in the IL in stolen bases (career-high 26) and home runs (18)…it was the fifth time in seven full pro seasons in, which he had stolen 20 bases…named to the IL midseason and postseason All-Star teams...Also selected as the Nationals Minor League Player of the Year…ranked among organizational leaders in avg. (1st), homers (tied for 3rd), RBI (4th) and SB (4th)...Had three tours with the Nationals, each stemming from injures to outfielders Denard Span (April), Bryce Harper (April-May) and Nate McLouth (August)...Made a diving catch in LF to end Jordan Zimmermann's 1-0 no-hitter, Sep 28 vs. MIA...Entered that inning as a defensive replacement...It was selected by MLB.com as the majors' Defensive Play of the Year, and earned a Newton Award from ESPN Sport Science...Zimmermann gave him a gift certficate to Best Buy..It rivals Hall of Famer Robin Yount's catch for Milwaukee in 1987 as the best defensive play to clinch a no-hitter…Yount's diving catch in CF at Memorial Stadium robbed Eddie Murray for the final out of Juan Nieves' no-hitter...Delivered his first major league hit on April 15 at MIA, a single off Dan Jennings...Had only 2 other hits, both home runs: connected Sep 17 at ATL (Alex Wood) for the Nats only run in a 3-1 loss and Sep 26 vs. MIA (Game 2) off Andrew Heaney...Led Syracuse to a 4-game sweep of Durham, June 20-23…went 9-for-19 with 7 runs, 3 2B, 1 HR and 8 RBI…homered off Jeremy Hellickson on June 22 and the next night delivered a 2-run double off Alex Colome...The Chiefs scored 40 runs in the 4 games...At Syracuse, made 62 starts in RF, 25 in CF and 1 in LF…drafted as a 3B, and played 3B, 1B and SS in his first five pro seasons before switching to the OF exclusively in 2012…since then has made 196 starts in RF, 45 in CF and 4 in LF. In first complete Double-A Eastern League campaign, hit .300 for the first time and represented Harrisburg in the Eastern League All-Star Game...was limited to 81 games by hamstring and oblique injuries...ranked among EL leaders in OPS (2nd, .953) and slugging percentage (4th, .557)...tallied 39 extra-base hits...following season, hit .357 with 2 doubles, a homer, 8 RBI, 8 walks and 10 stolen bases in 11 Arizona Fall League contests with Mesa. March 28, 2019 Arizona Diamondbacks placed RF Steven Souza Jr. on the 10-day injured list retroactive to March 26, 2019. Left knee injury. July 5, 2018 Arizona Diamondbacks activated RF Steven Souza Jr. from the 10-day disabled list. June 29, 2018 Arizona Diamondbacks sent RF Steven Souza Jr. on a rehab assignment to Reno Aces. June 26, 2018 Arizona Diamondbacks sent RF Steven Souza Jr. on a rehab assignment to Visalia Rawhide. May 22, 2018 Arizona Diamondbacks placed RF Steven Souza Jr. on the 10-day disabled list. Right pectoral strain. May 3, 2018 Arizona Diamondbacks activated RF Steven Souza Jr. from the 10-day disabled list. March 26, 2018 Arizona Diamondbacks placed RF Steven Souza Jr. on the 10-day disabled list. Right pectoral strain. February 20, 2018 Arizona Diamondbacks Traded 3B Brandon Drury to New York Yankees; New York Yankees Traded Taylor Widener to Arizona Diamondbacks; New York Yankees Traded Nick Solak to Tampa Bay Rays; Tampa Bay Rays Traded RF Steven Souza Jr. to Arizona Diamondbacks and Arizona Diamondbacks Traded LHP Anthony Banda and Player To Be Named Later to Tampa Bay Rays. November 7, 2016 Tampa Bay Rays activated RF Steven Souza Jr. from the 60-day disabled list. September 22, 2016 Tampa Bay Rays placed RF Steven Souza Jr. on the 60-day disabled list. Left hip impingement and labral tear. July 2, 2016 Tampa Bay Rays activated RF Steven Souza Jr. from the 15-day disabled list. July 1, 2016 Tampa Bay Rays sent OF Steven Souza Jr. on a rehab assignment to Charlotte Stone Crabs. June 16, 2016 Tampa Bay Rays placed RF Steven Souza Jr. on the 15-day disabled list retroactive to June 15, 2016. September 11, 2015 Tampa Bay Rays activated RF Steven Souza Jr. from the 15-day disabled list. September 8, 2015 Tampa Bay Rays sent RF Steven Souza Jr. on a rehab assignment to Charlotte Stone Crabs. September 5, 2015 Tampa Bay Rays sent RF Steven Souza Jr. on a rehab assignment to Durham Bulls. July 21, 2015 Tampa Bay Rays activated RF Steven Souza Jr. from the 15-day disabled list. July 18, 2015 Tampa Bay Rays sent RF Steven Souza Jr. on a rehab assignment to Charlotte Stone Crabs. December 19, 2014 Washington Nationals traded RF Steven Souza Jr. and LHP Travis Ott to Tampa Bay Rays. October 13, 2014 Washington Nationals activated RF Steven Souza Jr..
October 3, 2014 Washington Nationals reassigned RF Steven Souza Jr. to the minor leagues. September 1, 2014 Washington Nationals activated RF Steven Souza Jr. from the 15-day disabled list. August 27, 2014 Washington Nationals sent OF Steven Souza Jr. on a rehab assignment to Syracuse Chiefs. August 22, 2014 Washington Nationals sent RF Steven Souza Jr. on a rehab assignment to Potomac Nationals. August 21, 2014 Washington Nationals sent RF Steven Souza Jr. on a rehab assignment to Hagerstown Suns. August 4, 2014 Washington Nationals recalled RF Steven Souza Jr. from Syracuse Chiefs. May 5, 2014 Washington Nationals optioned RF Steven Souza Jr. to Syracuse Chiefs. April 27, 2014 Washington Nationals recalled Steven Souza Jr. from Syracuse Chiefs. April 19, 2014 Washington Nationals optioned RF Steven Souza Jr. to Syracuse Chiefs. April 12, 2014 Washington Nationals recalled Steven Souza Jr. from Syracuse Chiefs. March 17, 2014 Washington Nationals optioned RF Steven Souza Jr. to Syracuse Chiefs. October 31, 2013 Washington Nationals selected the contract of Steven Souza Jr. from Harrisburg Senators. 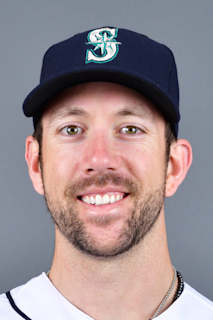 August 23, 2013 Steven Souza roster status changed by Harrisburg Senators. August 19, 2013 Harrisburg Senators sent CF Steven Souza on a rehab assignment to GCL Nationals. July 27, 2013 Harrisburg Senators placed CF Steven Souza on the 7-day disabled list. May 24, 2013 Harrisburg Senators activated CF Steven Souza from the 7-day disabled list. April 14, 2013 Harrisburg Senators placed CF Steven Souza on the 7-day disabled list. March 29, 2013 CF Steven Souza assigned to Harrisburg Senators from Potomac Nationals. March 1, 2013 OF Steven Souza assigned to Washington Nationals. August 17, 2012 Steven Souza roster status changed by Potomac Nationals. August 4, 2012 Potomac Nationals placed OF Steven Souza on the 7-day disabled list. July 20, 2012 OF Steven Souza assigned to Potomac Nationals from Hagerstown Suns. May 15, 2012 Steven Souza roster status changed by Hagerstown Suns. May 6, 2012 Hagerstown Suns placed OF Steven Souza on the 7-day disabled list. April 21, 2012 OF Steven Souza assigned to Hagerstown Suns from Potomac Nationals. April 4, 2011 Steven Souza assigned to Potomac Nationals from Hagerstown Suns. September 23, 2010 Steven Souza roster status changed by Hagerstown Suns. July 15, 2010 Hagerstown Suns placed 3B Steven Souza on the restricted list. July 14, 2010 Hagerstown Suns placed 3B Steven Souza on the 7-day disabled list. March 4, 2010 3B Steven Souza assigned to Washington Nationals.